Energy Suspension has introduced new polyurethane spring spacers that are a safe and effective way to give your Jeep that extra clearance for slightly taller tires up to 33 inches. These 1.75 inch Coil Spring Spacer Kits include a polyurethane spacer for each of the 2 factory coil springs to increase the overall ride height. Coil spacers are simple to install with basic hand tools, and are an easy way to give your Jeep a more aggressive stance. These new Hyper-Flex polyurethane spring spacers can withstand the pressures and abuse that rubber spacers are not capable of. 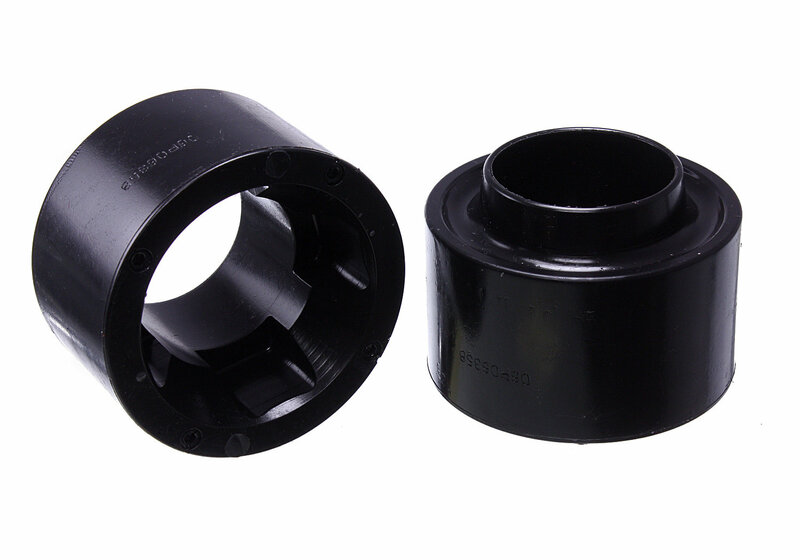 Protect your investment with Energy Suspension's coil spring spacers and get your Jeep lifted fast and easy!!! Lasts 3 to 10 times as long as OEM rubber parts! They do not adversely change ride characteristics in any way. utilizes the existing shock absorbers to maintain the factory ride.